Circulating daily on social media we see turtles caught in plastic, beaches bathed in piles of garbage, or decaying wildlife that make hearts heavy because we can easily relate to those species. However, there is another ocean issue that does not get enough coverage but it is dissolving many of the unseen organisms every day. 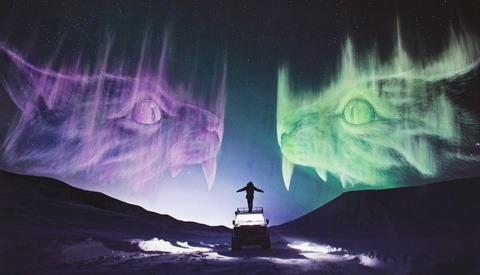 Christine Ren is an artist who combines art and science for conservation-themed media campaigns. 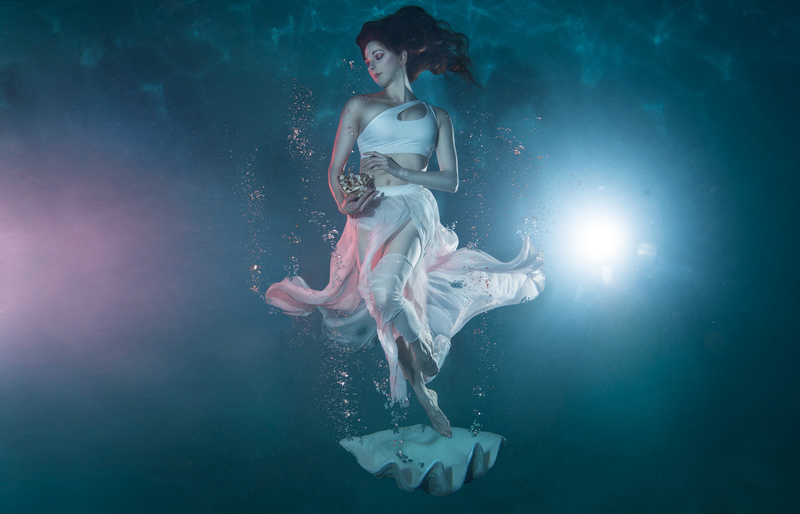 Ren works with underwater photographers to create awareness of the issues surrounding the health of the ocean through what she refers to as evocative media. "I believe evocative media can help reconstruct science support," Ren wrote. 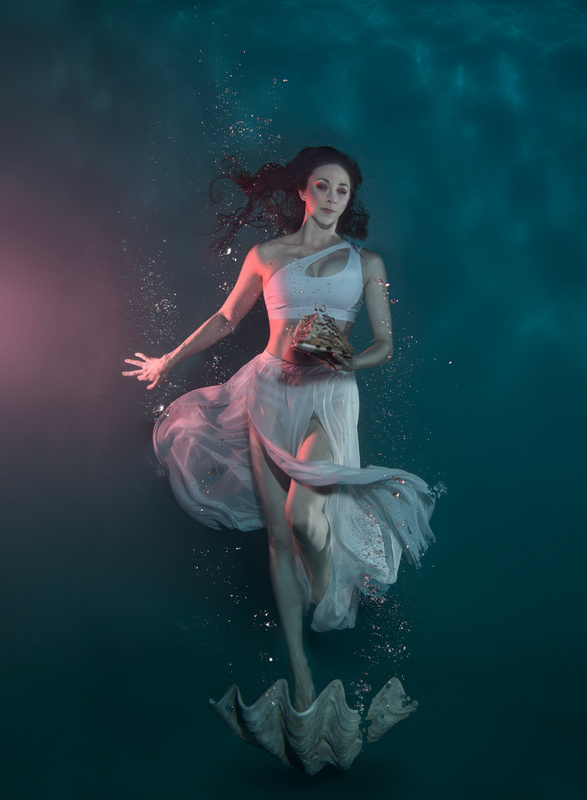 In her latest quest to educate on ocean acidification, she paired up with photographer Chiara Salomoni of Mermaids for Change. The pair worked to elevate awareness of the effects of elevated atmospheric C02 dissolving into seawater. The ocean is transformed in a more acidic state due to the chemical reactions. "Referred to by some scientists as osteoporosis of the sea, ocean acidification is undeniably climate change’s evil twin that hardly anyone understands or has even heard of," Ren wrote. These effects of the changing ocean chemistry can cause the dissolving of coral reefs as well as the shells of marine organisms. 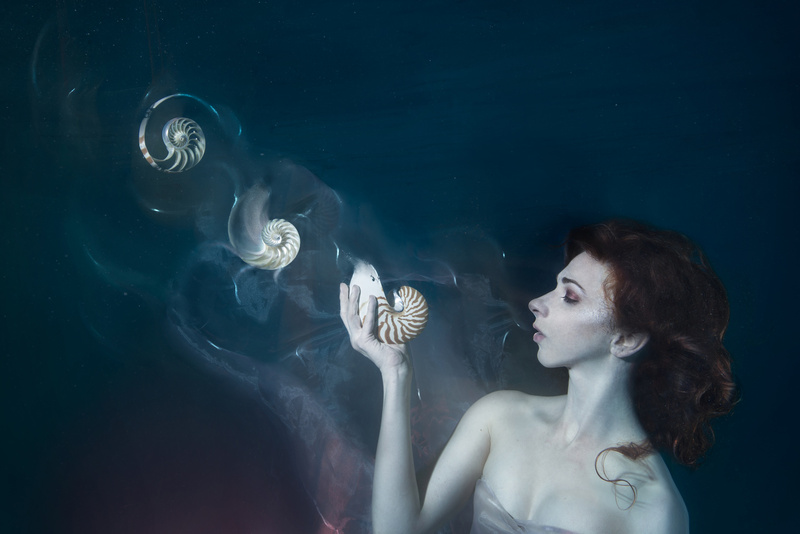 On the technical side on how the pair created the image of the decaying shell, Salomoni wrote, "I started in Photoshop with a long exposure shot to get the dissolving feel. I then moved the middle shell right in the middle for composition and blended in some of the fabrics." After that, she created movement by adding highlights surrounding the shells. All image are with permission and courtesy of Christine Ren and Chiara Salomoni.